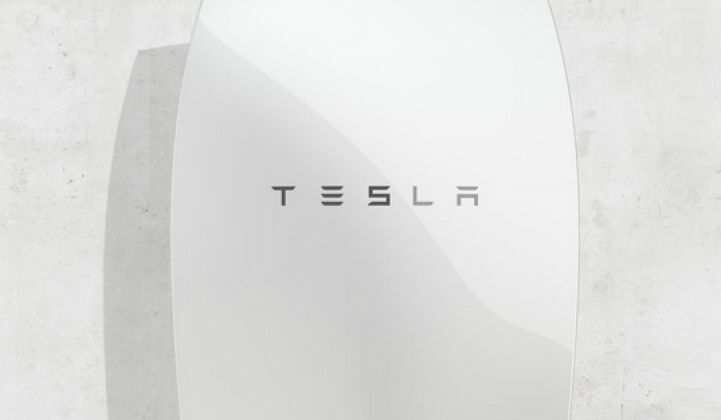 Is the Luster of Tesla’s Powerwall Already Fading? The company’s home battery system is under increased scrutiny. Editor's note: this article has been updated with comments from Tesla. Tesla made a lot of noise with the launch of the Powerwall last year. But the home battery system may be noisy in a more literal way. Some are reporting higher-than-expected operating volumes. One German customer measured a noise level of more than 80 decibels coming from a Powerwall installed in his home in February. That is roughly equivalent to the noise made by garbage disposal. “He was told that this noise is just for the first 24 to 48 hours, but it did not vanish,” said a representative of a rival storage company that ended up swapping out the customer’s battery system. Tesla said those claims were false. "The decibel noise level from the Powerwall is equivalent to a quiet household refrigerator and this low level of noise is a result of the industry leading temperature control system that allows the Powerwall to operate much more efficiently in nearly all temperature ranges, both indoors and outdoors," said Alexis Georgeson, a spokesperson for Tesla. "In a few early Powerwall installations, incorrect firmware was initially installed resulting in higher fan noise. This issue was easily and immediately fixed by Tesla with a firmware update as soon as it came to our attention. These firmware updates can even be made remotely just as we do in our vehicles, no service visit or customer action is needed to keep software up to date," said Georgeson. Tesla said the highest possible noise at one meter away from the system is 58 decibels, not 80. GTM was unable to speak directly to the customer, who did not wish to be named. But he did respond to questions delivered via email. “It was a continuous noise that was [audible] in the whole house," he said. According to Tesla, the company did not reduce to 15 percent of the original value. The Powerwall is still fully rated at its spec. Tesla says it optimized the duty cycle of the pump and the fan for a short term fix and for the permanent fix, the company provided more sound isolation from the pump to the Powerwall chassis. It is not clear whether this was an isolated case. One of the other early Powerwalls installed in Germany, for example, was sited in a garage rather than indoors because of a “light noise” from the cooling system, according to reports. Tesla says it only impacted a few customers and "the issue has been fixed." “I’ve heard they’re loud enough to want to relegate to a garage or outside. Not for communal areas, certainly. I haven’t been able to substantiate this, though," said Logan Goldie-Scot, head of energy storage analysis at Bloomberg New Energy Finance. Nick Pfitzner, Australia’s first Powerwall customer, told GTM his battery system was “not really” loud when installed outdoors. “My neighbor has a water feature, and you can’t hear it over that,” he said. Chris Williams, managing director at Natural Solar, which installed Pfitzner’s battery system, claimed the Powerwall “is almost silent." "In the event the battery temperature needs to be cooled, the fan will turn on. This operates at less than 50 decibels," said Williams. Nevertheless, customers commonly ask for the Powerwall to be installed in their garage or outside, he said. Overheating may not be a major issue in Germany. But placing Powerwalls outdoors in Australia may pose problems in for customers in that country. “The concern is that it’s hot here,” said Pfitzner. In this respect, Tesla’s liquid cooling system might prove an advantage over competing products. Tesla says the product is designed for indoor and outdoor use. Noise and location are not the only reported issues with the product since it began shipping at the end of last year. Competitors are also claiming that installation times are long. “Installers who already installed the Powerwall did not believe the installation time of five hours because it is very complex,” said Mathias Bloch, a spokesperson for Sonnen, a rival of Tesla's. "The installation time is a critical point, because it drives the installation costs and can make the overall system more expensive," said Bloch. This could impact cost. Tesla’s biggest selling point has been its price. But many observers have noted that the installed cost of a Powerwall adds up to much more than the $3,000 retail price advertised by the manufacturer. In Germany, for example, Sonnen estimates that the true cost of a Powerwall could be in the region of €8,500 to €9,000 (US$9,600 to $10,150), including the battery system itself plus a StorEdge inverter interface, gateway, reseller margin, installation fee and sales tax. Tesla says the cost is between €5,000 to €6,000. In Austria, meanwhile, the published price for a Powerwall-and-solar package is €17,900 ($20,220). Tesla said Sonnen's numbers are misleading -- those estimates don't include a specific amount of solar, or acknowledge that the inverter is also used for the panels. And in Australia, a detailed analysis of Powerwall pricing by SolarQuotes, based on an end-user price of AUD$8,000 (US$6,175), shows the product costing roughly double the original estimates. What's more, a detailed reading of the Powerwall manufacturer’s warranty reveals that Tesla guarantees a lot less storage than originally advertised for its 7-kilowatt-hour daily cycling battery system. Specifically, the warranty covers 740 cycles or 85 percent of 6.4 kilowatt-hours (so 5.4 kilowatt-hours) of capacity for the first two years -- whichever comes first. Then it covers 4.6 kilowatt-hours for three years or 1,087 cycles. And finally, it covers 3.8 kilowatt-hours for five years or 2,368 cycles. Based on these figures, SolarQuotes estimated that each kilowatt-hour delivered from a Powerwall would end up costing an average of AUD$0.50 (US$0.39), making it more expensive than the residential storage offerings from Aquion, Redflow and Sunverge. The calculations do not include the cost of an inverter, which would push the upfront bill to AUD$12,000 ($9,265) and the per-kilowatt-hour cost to AUD$0.75 ($0.58). Ravi Manghani, a senior storage analyst with GTM Research, wasn't shocked by the numbers. "Capacity fading and degradation are known challenges within energy storage community. Most analytical models (including ours) account for it. Of course, the fact that Tesla has kept most important warranty terms out of the main product press/specs is not unusual. I would be surprised if warranty terms from other vendors looked much different from Tesla's," said Manghani. Tesla was almost certain to receive outsized scrutiny given the hype surrounding the Powerwall’s launch last April. Even the product’s critics admit the energy storage industry owes Tesla a debt of gratitude. Much of the product development and price-cutting among residential energy storage providers over the last 12 months has been in direct response to Tesla’s entry into the market. And Tesla is the reason many consumers are now considering battery storage at all. "There are already thousands of units in Europe either installed or in the process of being installed," said Tesla's Georgeson.